Download MT6582-Android-Scatter.txt file on your computer. Download Custom Recovery (CWM ) on your computer and rename to recovery. 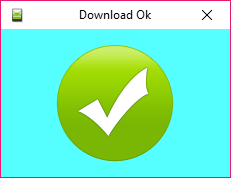 Download UPDATE-SuperSU.zip file and place it on your Acer Liquid E700 (E39) SDCard Memory (placed outside the folder). Then run the SP Flash Tool (flash_tool.exe) on your computer, then click on the "Scatter Loading" and navigate to the MT6582-Android-Scatter.txt file. Now, give check the checkbox "RECOVERY" and double-click on in the "Location" (row RECOVERY) then navigate to the file recovery.img. After that, turn off your Acer Liquid E700 (E39) (pull the battery if necessary). Now connect your Acer Liquid E700 (E39) to a computer using a USB cable. If it is so, you can disconnect your Acer Liquid E700 (E39) from the computer. (don't power on your device). Release all buttons when the Acer Liquid E700 (E39) screen flickers and in a few seconds the Recovery screen will appear. (Volume Down button for selecting, Volume Up button for OK). After returning to the start of CWM Recovery menu, now select "Reboot system now" to restart your Acer Liquid E700 (E39). 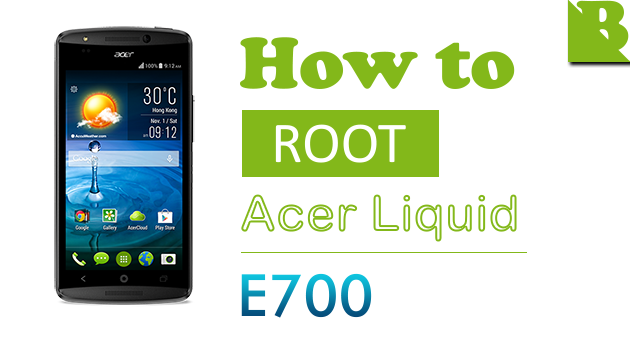 Optional: You can also verify whether you have successfully Rooted Acer Liquid E700 (E39) or not using the Root Checker app. 0 Response to "How To Root Acer Liquid E700 And Install Custom Recovery"